Thanks to carefully designed architecture and heavy usage of coprocessor it blurs the boundaries between iOs and hardware synthesizers. · A number of effects are built in: distortion, chorus, equalizer, stereo delay. All parameters can be modulated using mod-wheel. 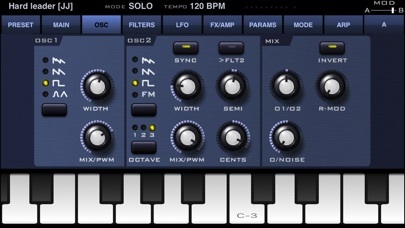 · Sunrizer XS incorporates very powerful programmable arpeggiator. You should think of it more like a small step sequencer. · Built-in recorder supporting AudioCopy and iTunes file sharing. · Supports CoreMidi. MIDI key velocity can affect up to 3 parameters. · Hold button allows you to to keep notes sustaining until you play new notes. 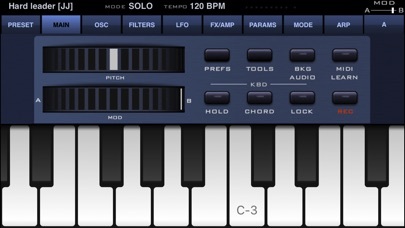 · With Chord Memory function you can play the chord by only pressing single keys. Visit www.beepstreet.com for user manual and audio demos. 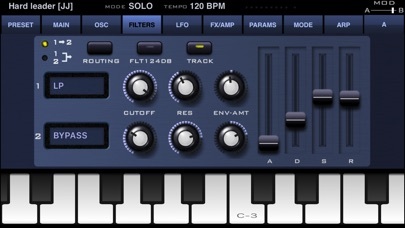 iPad version is available as "Sunrizer synth". 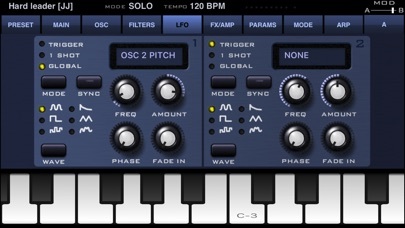 "Sunrizer is the first truly mature polyphonic synth for the iPad, a real, smooth and powerful sounding option for all sorts of stage and studio performances." Mark Jenkins, author "Analog Synthesizers"